-You may use this version of Cunia for personal and commercial use. Thank you for downloading/donating and using Cunia font, designed by Alejo Bergmann. Open Font License. Based on Rubik Font. 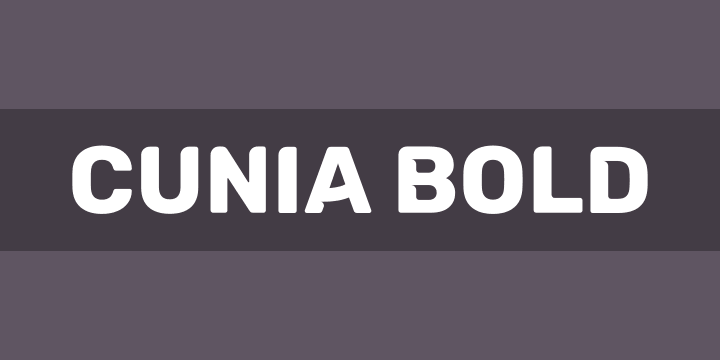 Cunia is a sans serif font with slightly rounded corners designed by Alejo Bergmann. It contains all caps letters, numerals, and symbols. This font perfectly suites for a variety of display purposes, including logotypes, badges and labels, headlines and banners, prints and much more.